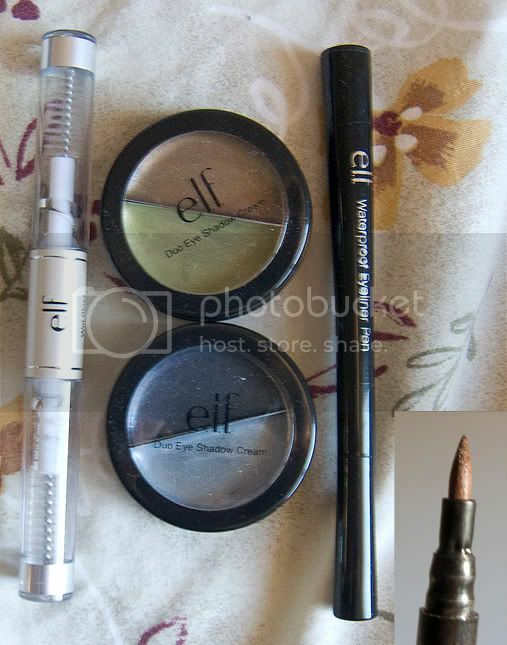 WARPAINT and Unicorns: A Blast from Swatches Passed: E.L.F. line round up. 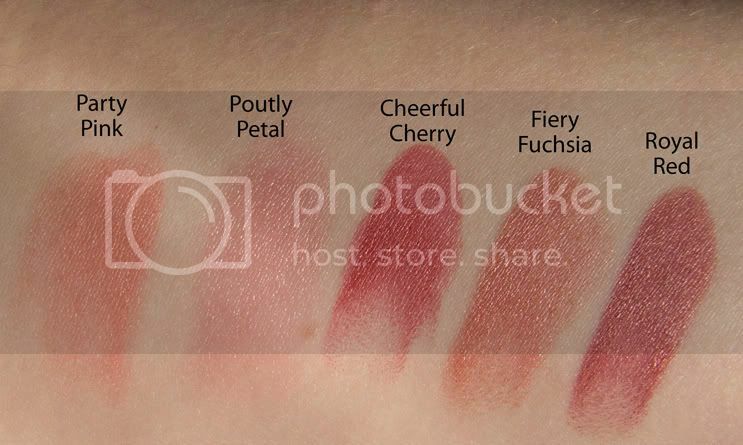 A Blast from Swatches Passed: E.L.F. line round up. 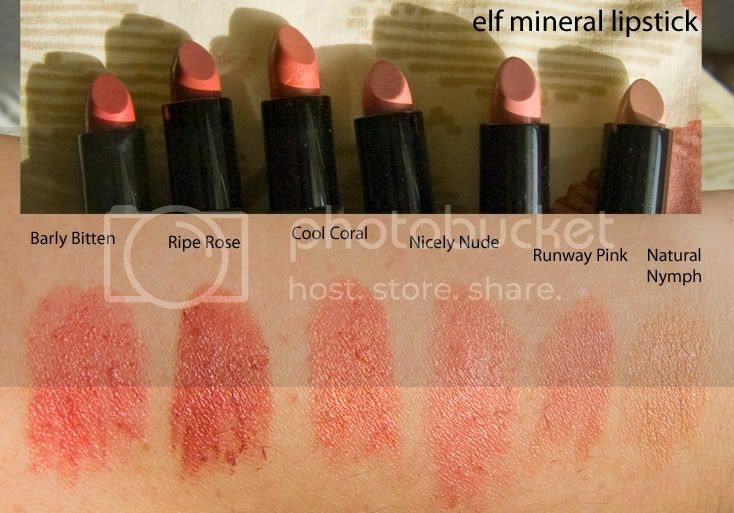 I got interested more in ELF when they lunched a mineral line and placed a few order for over the corse of a year. The ELF Studio Mineral Lipstick line ware a great formula to wear on the lips comfortably but with me I found it wore off in 2 to 3 hours. 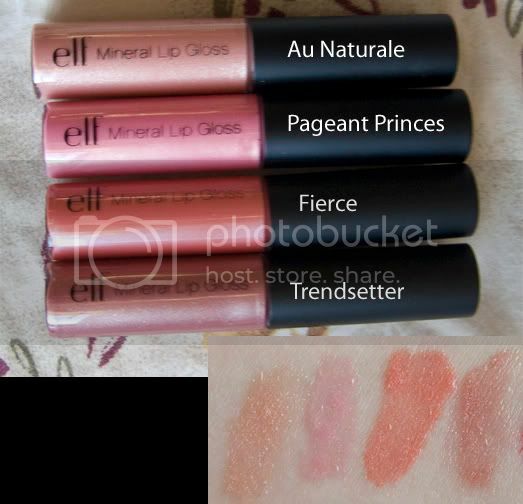 Like the ELF Mineral Lipsticks this Mineral Lip Gloss formula to wear on the lips comfortably but again only lastes 2 hours on me. Waterproof Eyeliner Pen I still have actually it's not what I call 100% waterproof but is smudge resistant. I've used it int the past mostly for quick tattoo work rather then an actual liner. it dose feather lightly before it dried into and small texture on the skin. 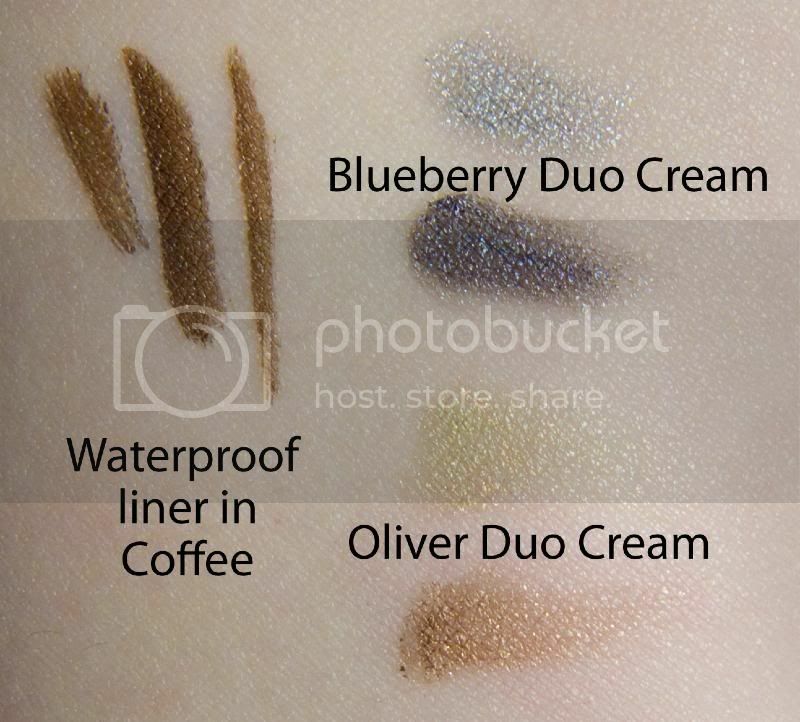 The Duo Eye Shadow Cream was a no go and only recommend them if you set them with a powder as a base over a primer. Way to oily in nature. 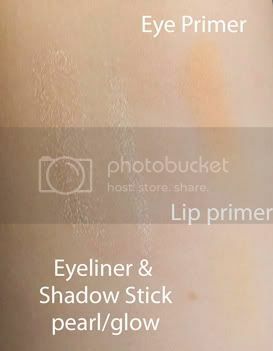 Eyeliner & Shadow Stick in Pearl/Glow this wasn't a terible product but the shade also need to be set with a powder line any standard eye pencil. But nicer to work with then the Duo Eye Shadow Cream . Eye Primer And Liner Sealer in Natural, the primer is much more os a sticky base then a long wear primer, but I would use it in conjunction of a primer.The sealer is a perfecte example that almost all clear sealer are created equal regardless of their price range. This would be great way to try the product type out before getting a larger bottle. The lip plumper is pure cinnimon, just wasn't a fan and the primer was more like a concealer balm but I didn't find it terribly effective in hold lipstick in place. I've personally moved on from the line but would recommend the studio line brushes to anyone (still have a few of them) and to check their other products out as there are some real gems in their massive range.